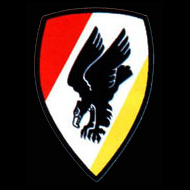 Formed 15 Nov 1939 in Greifswald. A Stabs-Staffel existed Apr 1940 - Nov 1944. On 23 Nov 1944 redesignated Stab/KG(J)30. Disbanded 18 Apr 1945. KG(J)30 was to have converted to Me 262A in early 1945, but none were delivered, due to production shortages. * possibly at Amsterdam-Schiphol, Jun 1940. Hptm Konrad Kahl, 26 Apr 1942 - ? In Jun 1940 1./KG30 became 8./KG4, and was reformed from 9./KG30. 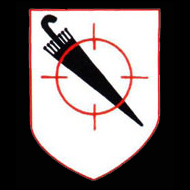 On 23 Nov 1944 redesignated I./KG(J)30. Disbanded 18 Apr 1945. * Stavanger-Sola was used as a forward base, Apr 1940 - 1 May 1940. On 23 Nov 1944 redesignated II./KG(J)30. Disbanded 18 Apr 1945. * 4./KG30 at Aalborg-West, 7 Aug 1940 - 11 Aug 1940. ** 4./KG30 at Stavanger ( 23 May 1941 - 16 Aug 1941), and at Banak (16 Aug 1941 - 30 Sep 1941); 6./KG30 to Banak 12 Jun 1941, to Kirkenes 22 Jun 1941, and returned to Stavanger 16 Aug 1941. **** 6./KG30 remained at Kemi until 13 Nov 1942. ***** parts at Pardubitz, Oct 1944 - Nov 1944. In Jun 1940 9./KG30 became 1./KG30, and was reformed. III./KG30 was disbanded 8 Jun 1944. 13./KG30 was formed Jul 1943 in Aalborg. On 1 Sep 1944 12./KG30 was disbanded, and was reformed from 13./KG30. On 23 Nov 1944 redesignated IV./KG(J)30. Disbanded 18 Apr 1945. * 10. and 11./KG30 at Ludwigslust (Apr 1941 - 7 Jun 1941), Bretigny (8 Jun 1941 - Jul 1942) and Aalborg-West (14 Jul 1942 - 23 Nov 1944). Formed in 1940. Disbanded Apr 1943. Formed 21 Feb 1940 in Perleberg. On 1 Jul 1940 redesignated 4./NJG1.